I am a proud mix user. I also am a pround owner of the Cake Mix Doctor cookbook. 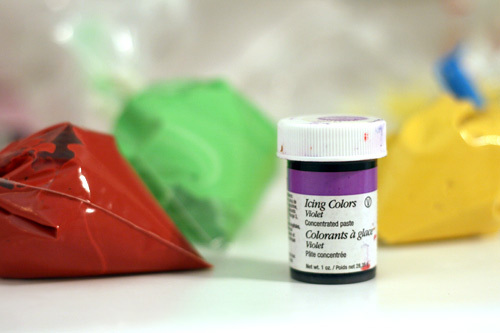 Also, I'll add color to my mixes, like a white mix, and tint sections red, another blue. When you layer it in a cake pan or cupcake tin it comes out red, white and blue!! i have twins. i definately use mixes. 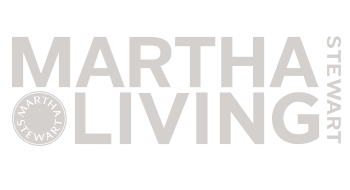 but i really like the idea of improving them – it makes me feel more….scratchy! :) This is the cutest thing! EEEEK! 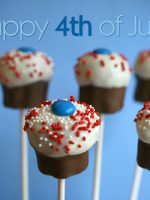 PLEASE MAKE SOMETHING FOR FOURTH OF JULY! My twins celebrate their first bday July 2nd! 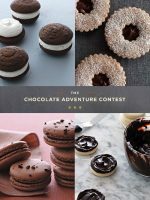 I need some ideas Bakerella! our or my senses are so used to the idea of a salty, fat and warm food when I think of burgers and fries. Why should I eat them like this? 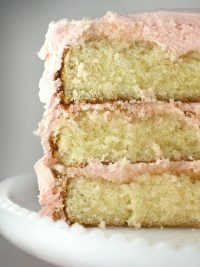 I'll use cake mixes because they have ingredients in them that make the cake stay fresh much longer than a scratch cake would. Even Alton Brown says this. But scratch icing is much better. You control the sugar, so your teeth don't hurt. I think I just totally changed my Father's Day sweet plans! I totally <3 mixes, there's something to be sad about being able to quickly whip something up. And it's still thoughtful because you still had to take the time to make them. And that sugar cookie mix is the best and I've never made a brownie from scratch that's better than the mix type. Absolutely adorable!! I am completey, once again – blown away by your ideas. I almost never share them with the kids though – or they would ask me to make such creations! LOL! 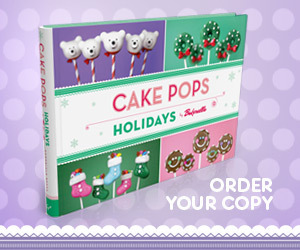 I have nothing against cake mixes – with such cake stylin's – who would have time to do both things!? I am incredibly lazy, and messy. Not only does using a mix make my life ten times easier, but it makes my mother happy because it's not so damn messy. 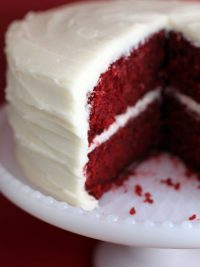 You'd think with Red Velvet cakes being popular in both America's hat (Canada) and America's diaper (the South) that the spot in between (NEW YORK… and the rest of New England) would also have it. I love the feeling you get when you know you made it from scratch. But when you get a last minute I need 50 cupcakes for school. Thank Goodness for mix. I like to improve them though. Since I was a little girl never really did what the box said. It works for me though, because when I tell people that dont like box it is box they are surprised lol. I don't know what to say. Those are completely darling. And I have no problems with box mixes either – they definitely have their uses! Those are adorable. I did something similar for my daughter's 50's sock hop. Instead of cookie fries mine were Rice Krispie treats sliced and then dipped in yellow white chocolate. Also for cute effect you can buy mini-ketchup and mini-mustard jars at the Deli at WM and empty/wash them and refill them with yellow/red thinned icing. The kids are our party loved the dippable icing. I've been a lurker here for a while, but I have to say those burgers are the coolest thing I've ever seen. If I had one here, I'd be eating it right now! 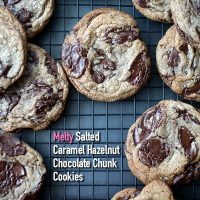 I just sent my hubby to the dollar store for a cookie mix (as my grams turns like a pig on a spit in her grave); I have the other mixes on hand always since "meeting" your blog. Sorry to say, I'm a from scratch kind of girl because that's how my Grams was…everything I learned came from her (and she barely measured anything!). You've seriously outdone yourself, lady! I scratch bake and I use mixes. When I do use a mix I usually doctor it up. 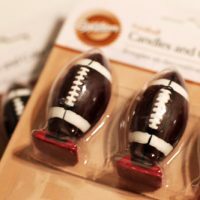 These are totally adorable. I will definitely be making them for our next barbecue. How in the world do you keep coming up with these cute ideas??? You never cease to amaze me!!! As for mix vs. scratch, it depends on the time I have. I tend to use mixes if I plan on spending more time decorating, and scratch if I am planning on just frosting! Absolutely ingenious! This may be the cutest thing I ever saw. I'm pretty much a mix snob, but if I do use one, I always tweak it with something to make it more special. I've added extracts, pudding (of course), liquors, nuts, chocolate, etc. Thanks for a brilliant idea! I am shaking my head in amazement! The french fries are genius and the templates awesome! I ain't skeerd! Use & improve 'em! You never cease to amaze me and your e-mails in my inbox are the tastiest part of my day! 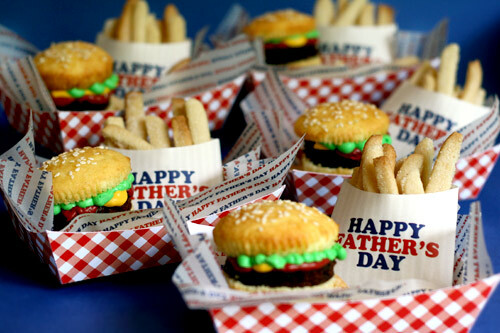 I'm SO making these next weekend for Father's Day BBQ. How fun! Thanks for making these, the templates & sharing it all with us. I'm a bake from scratch girl most of the time, but I really don't have trouble using a mix for something like this. Yum! OMG – this is totally amazing – something so simple for such an amazing idea – I've gotta try this now.. this is just too cute! 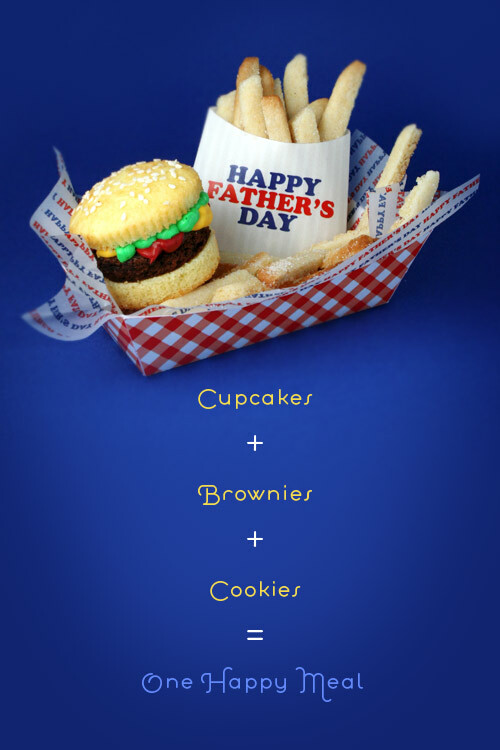 Going to have my boys help me make these for next weekend for father's day. Thanks for the idea. i love these every time i see them! great job. i made a giant hamburger cake for a friend's engagement party. it was so much fun. Mixes are great when you need them. Depends on the situation …like this burger is time consuming so save some time and use the mixes. Having said that these are the cutest things I have ever seen. I dont know if I have all that kind of time though. Too Cute. Too stinkin cute!! You are so cool:)!! Love those burgers and friend and thank you SO much for the pdf-whoo hoo!!!!!!!!!!!! As for me, I prefer baking from scratch. I like the process, it gives me joy! 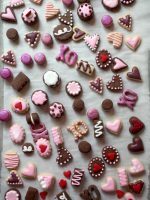 And when I give a gift of a sweet something, I think making it from scratch puts a little extra love in it <3! 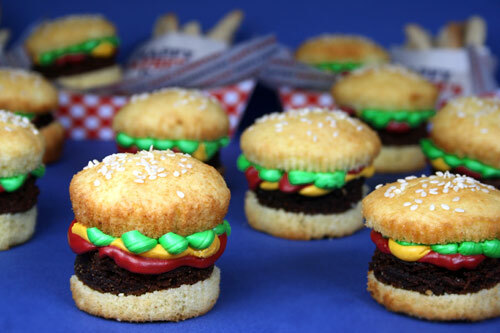 On the other hand- I will use a box mix for making thinks like cupcake pops, these fun burgers, etc….Because with all the fun details on those things, I like to take the extra time with decorating. So there you go!!  Love your blog-it challenges me!! 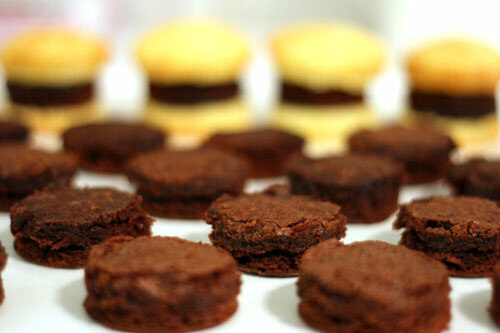 I have everyone I know check it out b/c I can't get over how amazing your confections are!!! amazing. such an inspiration. looking thru your archives to bring something special to sister's BBQ who doesn't think i can do anything right in the kitchen. look out, here i come. I love you and I am absolutely doing this!!! PERFECT!! After the Valentine's cake, I didn't know how I could top it. This is the answer. Thanks for the great idea! Oh, and never ever use box mixes. I prefer to have more control over what we eat. Scratch all the way. OK. I am SO making all of this! THANKS for the fabulous inspiration! These would be so cute for a birthday boy or girl….Might just have to do these for my grandson's day care class. That is the cutest thing ever! I totally use mixes. Cake mixes yes! For cookies NO! 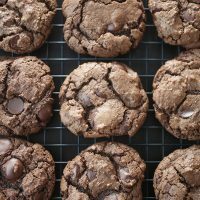 Cookies are way to easy, and taste "HELLO" is way better. Of course I prefer homemade most of the time, but mixes are convenient and I use them sometimes! But, I usually improve them by adding other ingredients (pudding, sour cream, fruit, homemade frosting, etc). Wow, what a cute idea!! These are so adorable. I'm going to give these a go. So cute – nice job! Oh man, these are soooo cute! 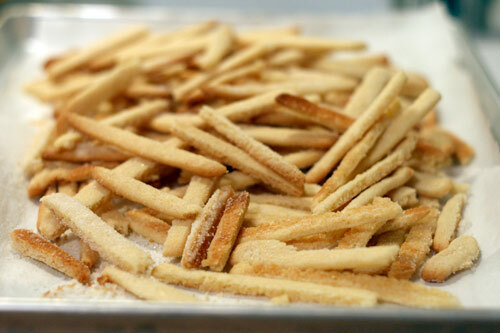 Dare I make an attempt at these? I am no mix snob, I will use a cake mix more times than not. But, I don't like the cookie mixes, I think they have a weird aftertaste. Thanks for the inspiration, you're great! supper fun! I'll try it one day! These are the cutest things ever. I will definitely be trying some of these. I was going to make these burgers a few days ago now you have given me a even better idea thanks! Bakerella, you have done it again! Your latest creation is wonderful and so perfect! Thanks for hooking us all up to fool everyone into thinking we are baking masters like yourself! 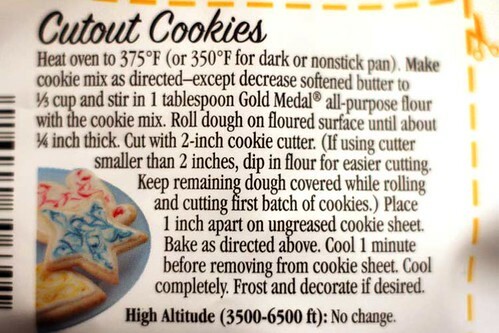 Fake it 'til you bake it! My sister called a few weeks ago to surprise visit us for an evening of games. Since I didn't have a brownie mix, I made some from scratch. 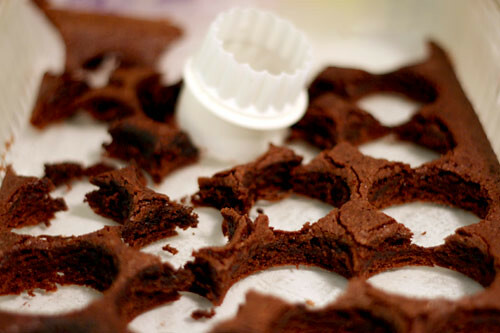 We had to choke them down…the mixes are so chewy and fudgy and moist and mine were, well, not. And if you add up the cost of all the ingredients, it is probably cheaper to just buy a mix and enjoy its goodness! So, at least for brownies, we are sticking to boxed creations! Oh so yummy. All Dad's will love that. By the way, mixes are great and easy. But that just how I grew up! Love my mixes when in a hurry to do whip up something quick and add stuff to it to make it more "homemade". Love my mixes when I need to whip something up in a hurry, and I almost always add stuff to it so it tastes more "homemade". 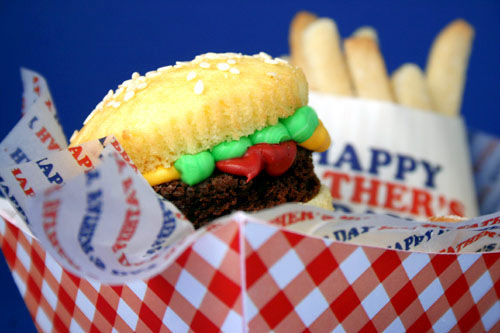 :-) Love the burgers and fries…will definately be making these this summer! 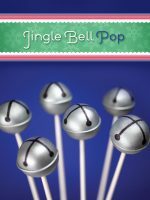 I almost always avoid mixes…unless I'm making cake balls. 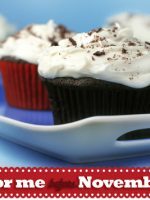 :) The first time I saw them on this website I had to try them RIGHT THAT SECOND…and I've just continued to use a mix and prepared frosting ever since! Your burger and fries are adorable! 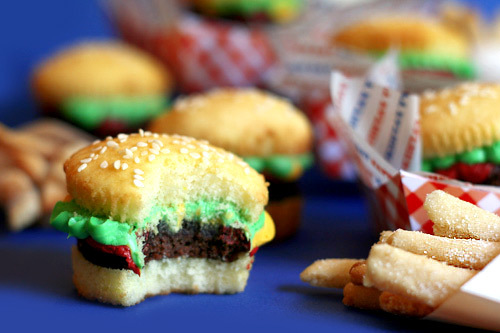 My daughter and I are going to attempt these little burgers and fries. Too cute!! Completely amazing! I so want to try these for a summer bbq….i might have to practice a few times first! 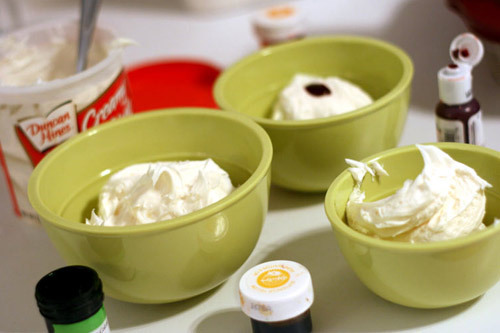 I love to use cake mixes – there's so much you can do to alter them. Also, they're so quick and easy and with little kids it's nice to have something that doesn't take much time. I do like a good old fashioned from scratch cake once in a while, too! I started out when I was young using mixes but now I bake all from scratch. Really now, could you be any more creative? These are absolutely adorable. I love that you use mixes, I think they are great. All premeasured and ready to go. I'd rather spend my time decorating anyway. I improve mixes. When I make chocolate cupcakes, I use devils food mix and add a box of instant chocolate pudding, it makes them extra chocolaty and moist. Vanilla icing too, I'll jazz it up by adding extracts or marshmallow cream. I do insist on making chocolate icing from scratch. so, so, so, so cute!!! These are so cute!!! It's so small and real! I love it! 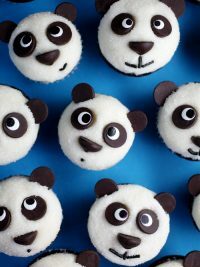 These are sooooo cute! 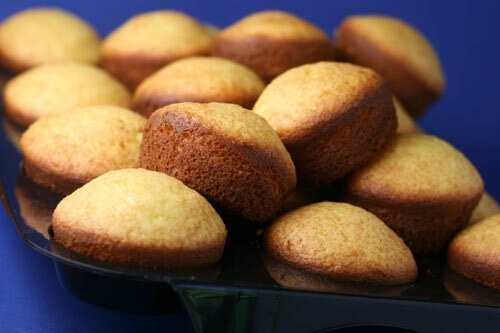 I improve cake mix, but only when making a white, yellow, or chocolate cake. 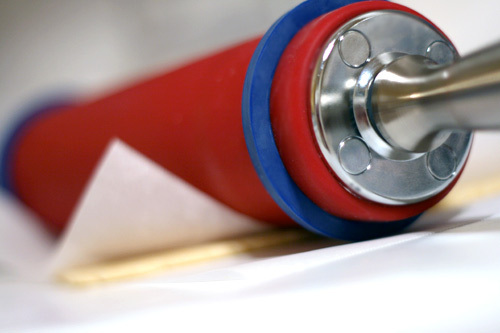 I don't cringe as much using them because I think of it as cake flour :o). The recipe I use is so different from the cake box recipe. I tend to improve them- love to experiment with adding fruits or other flavors to the basic white or chocolate cake mix re-boxed as generic for our local Hy-Vee stores. I don't mind using mixes. Sometimes all you want is a predictable batter. I usually doctor it up a little, though, to make it taste better. We used mixes for cake decorating in 4-H where we had to have a new cake each week, and I have used the refrigerated dough just to see how it differs from my home-made dough. But most of the time I just prefer to make everything from scratch. Whaaaaaa ! C'est génial ! Quelle imagination ! 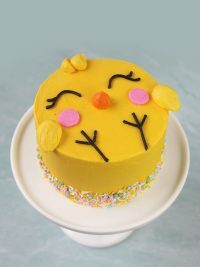 The only "scratch" cake I've done is an Easter Lamb cake using Swan's Down cake flour. It did come out better than using a box mix. Right now time is of the essence, so I'm mostly into the boxed stuff, doctored up, of course. But this Fun Food…what a hoot!!! I love it, esp the fries!!!  I LOVE THIS SITE!!!! TOO CUTE!!! 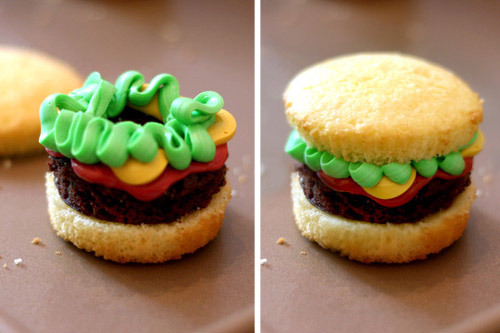 I'm making these for a big cookout next month!! Maybe adding some fondant 'pickles'. When I make cakes, I almost exclusively use a doctored box mix recipe. I like the No-fail sugar cookies if I'm going to a delicate design and don't want spreading, but they just don't taste as good as the old-fashioned sugar cookie recipe that is in my 30+ yr old Good Housekeeping cookbook (a handy-me-down from my mother). VERY CUTE! 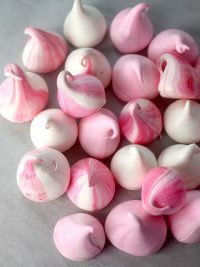 I totally want to make/eat these! 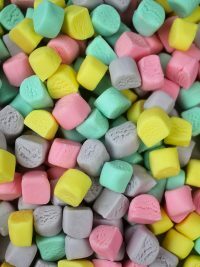 As for mixes, don't like to use them, I want to know exactly what is in my food. So, I have used a couple of Trader Joe's mixes because they have legible ingredients, but I don't always love how the finished product comes out. Too airy and I can taste the "mix" flavor. TJ's brownie mixes are good though. 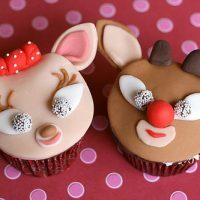 zoemonster – Make it easy on yourself and buy some plain cupcakes and brownies on the way to the lake and just have fun decorating. Gina – that's a good wone to use them on. Sandee – Where are you? WkSocMom – yeah, I even did a post on it back somewhere. Abby – you can barely taste them. You could use white non-pareils as a substitute. Sarah – eat them. give them away. eat them. Torrie – It was Cooper Black. You could set your text to line up with the template and then photocopy it. Anonymous – just for fun maybe? So cute! 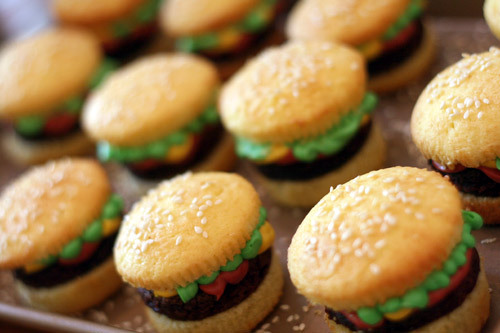 Hamburger cupcakes… I like everything about it! seriously the CUTEST thing I have seen in ages! These are so cute!!! You are so talented! Baking from scratch is great (especially when you have good ingredients like madagascar bourbon vanilla, etc.) but it definitely takes longer. When I'm making something quick I always use mixes but if I'm baking solely for the purpose of having fun and relaxing I like to try new things and don't usually use mixes. And I am a strong non-mix supporter! You are simply amazing. Period. End of story. I so wish that I had more time & money to try these things!!! So stink'n cute, I love it! I may need to do this for my daughter's birthday! I use mixes proudly. Don't get me wrong, I love to bake from scratch. I won't buy store bought bread anymore because I have fallen in love with homemade from scratch goodness. 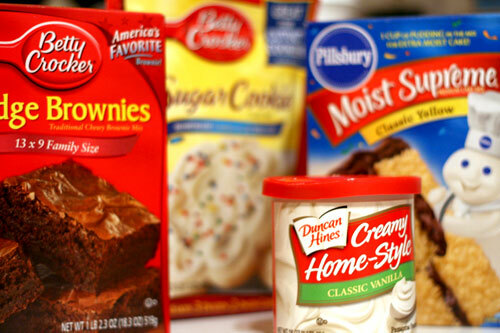 But there is a time and place for cake/cookie/brownie mixes! And this is brilliant! I love it! ADORABLE! And thank you for posting. I've seen this idea before and had completely forgotten it. 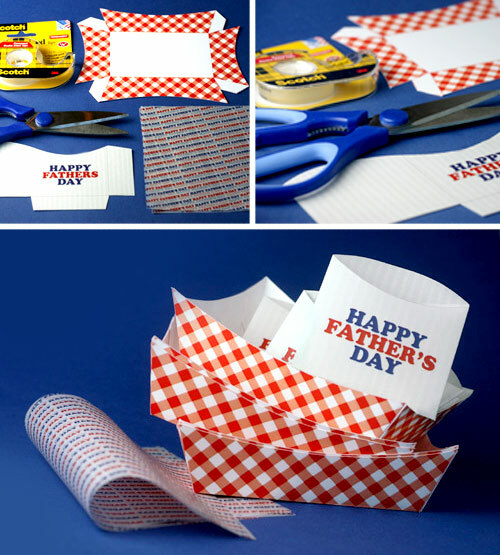 I've been stressing out over what to do for the boys on father's day and this is perfect! ps I'm proud of you for owning the mix usage. I used mixes ALL the time and have just barely begun to be okay with it. Mix users unite! Mixes sometimes just take out some of the stress and get you to the yummy food that much quicker! Bakerella! You continually amaze me! These are SO awesome I can hardly breath! 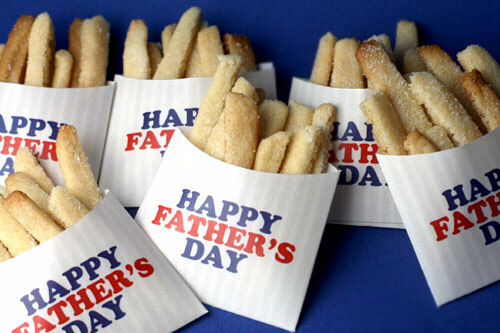 I can't wait to make them1 I want to make them for the Dads at church. We usually serve cake. Can we do it? I'll have to talk the ladies into trying!!! Re: question…I like the ease of mixes but change ingredients to make it better. 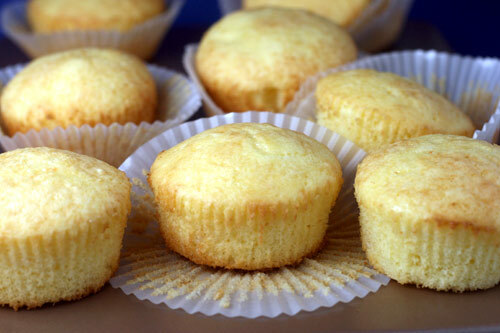 Scratch cakes have Much better flavor and a better consistency, though. I use mixes a little more than half the time. It depends on what I'm making. However, with a dry mix, I always add things wheat germ and/or ground flaxseed. It makes me feel less guilty about indulging!! These are absolutely AMAZING. Well done. The last time I made cake mixes in the Uk (a long time ago) they were tasteless and grey! Yuk. They have probably come on a long way since then but since I can manage to make them myself I don't usually bother. You can get some Betty Crocker stuff here in Greece but I haven't tried them. Obviously there isn't the selection you have there. Given a good taste and a great selection I would probably use them sometimes. I am curious? 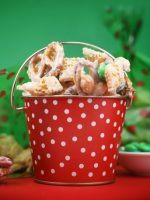 How do the mixes you get over there compare with regard to additives, preservatives and artificial colors? 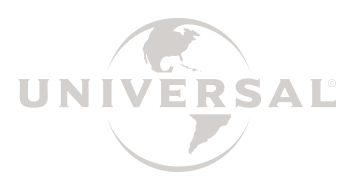 I imagine they are quite good in the US with regard to "free from…"
You're SO creative!!! I'm always amazed with your ideas! Mixes? Heck yeah, I use them! Sometimes straight up, most often I'll use them as the base and swap out ingredients like you did. Sometimes buttermilk, milk, or half and half instead of water; butter instead of oil. And almost always some vanilla extract! I use mixes but I usually add something to doctor them up a tad. This is amazing! I was totally stuck on what to get my father-in-law (my man is so disorganised that I need to think of everything!) and this is perfect! And cheap, which is a must when Father's Day comes before payday! 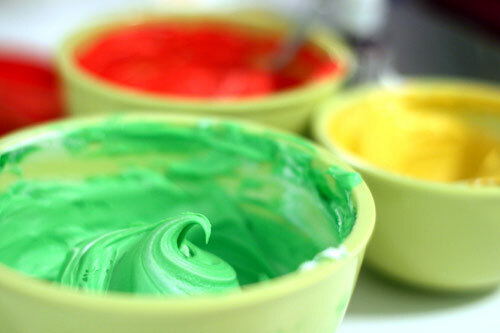 I think mixes have their place especially when you want to focus on the decorating/assembly/cute factor and when you add kids into the baking equation, mixes are the way to go. 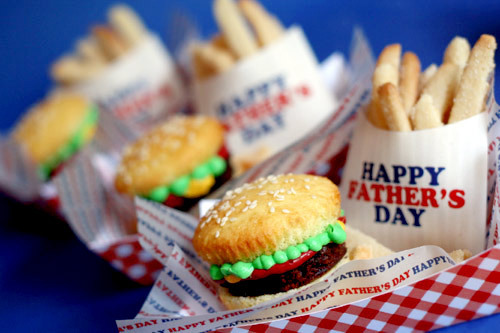 FYI: I saw some red plastic hamburger/fry baskets at Target in the Dollar section. 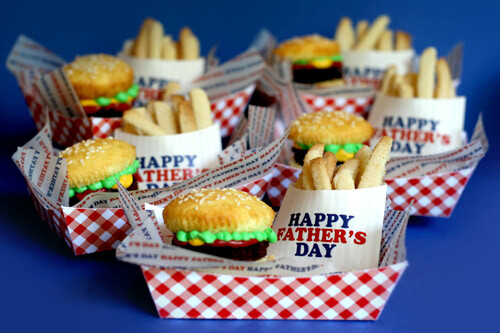 They might be cuter for serving up these burgers and fries. i use cake mix, because everyone who eats it says its the best thing they have ever tasted and asks for the recipe. i figure why mess with a good thing? 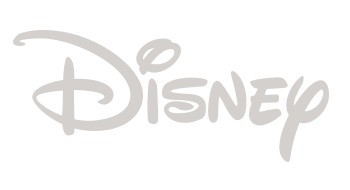 but ther eis only ONE brand i will use. i always make my own buttercream. I have no problem using mixes, BUT… I have to be careful. ONLY the Betty Crocker mixes are made in facilities without nuts, and I have a very close friend (i.e. someone who is often at events I host) who is deathly allergic to all tree nuts. Just a little FYI that you can file for future reference. Those are really cute. 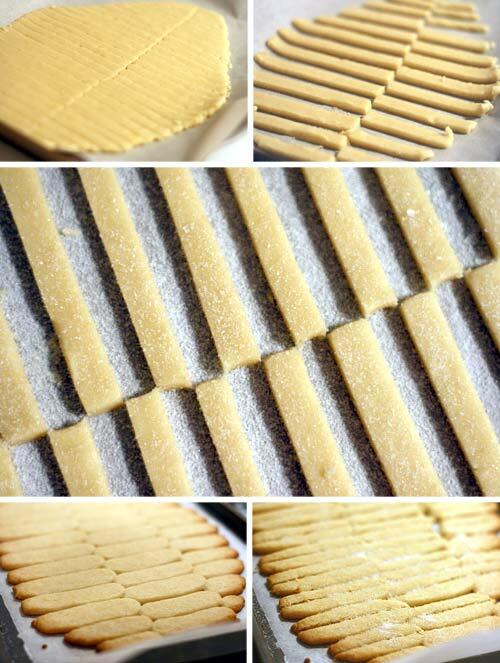 I'm sure my DH would love them… maybe, if I have the time this week, I'll whip up a batch! Thanks! very clever idea, you are very funny too. Keep up the good work/fun!